1. Dating Your Husband. I talked the other day about how difficult it is for me to get out the door for date nights (nothing against Ryan of course! ), but this article from Darling Magazine was an awesome reminder on the importance of taking time for one-on-one time with your spouse, particularly after kids are in the picture. This idea was exactly why we started the Dating in 2014 challenge, but the Darling Mag article solidified the reasons behind it all! 2. And moving from husbands to dads, I love love loved Shauna Niequest's blog post Dads Aren't Dumb. I just started reading her blog after I read her book Bread & Wine, and I'm so glad I didn't miss this post. Ryan is a truly amazing father, and watching him as Brecken's date is my absolute favorite. I could've written Shauna's closing sentence, my edits in place: "Aaron Ryan, I learn from you every day. Our boys are girl is so incredibly blessed to have a dad like you." 3. One week ago today my sweet nephew Carsten Thomas was born. I'm loving soaking up newborn cuddles, especially since Brecken seems so huge and AWAKE comparatively! You don't realize how fast it all goes until you see a four day old vs. a four month old! A million congrats to my sister Julia and her husband Nate...I am so excited that they get to witness the amazing ride of parenthood, and that Ryan and me get to do it alongside them! It's going to be way too fun watching this pair of cousins grow up together! 4. 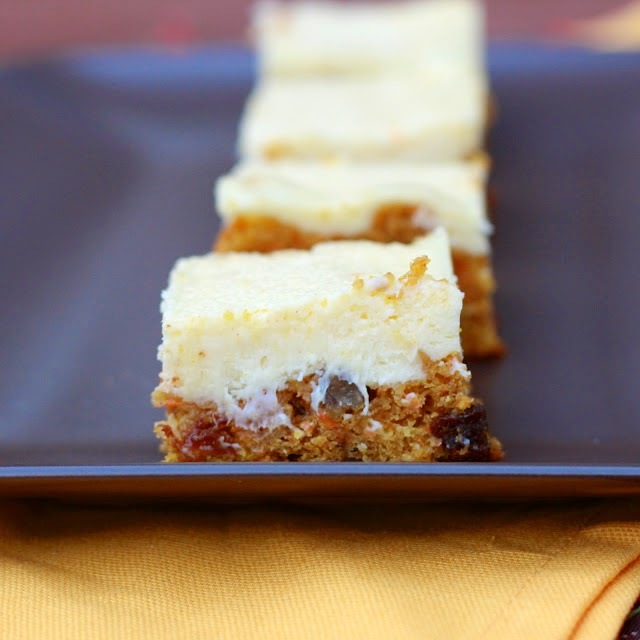 A reader recently made my Carrot Cake Cheesecake Bars and had the following to say about them, "Thanks for this recipe! I made it last night and it turned out perfectly. It's a good thing the recipe makes so much because I took it to a grill-out and they disappeared FAST. I will definitely be making these again!" ....and now she has me craving them! What have YOU made from The Sweets Life recently? I love getting feedback on recipes you've tried!